​The Rev. 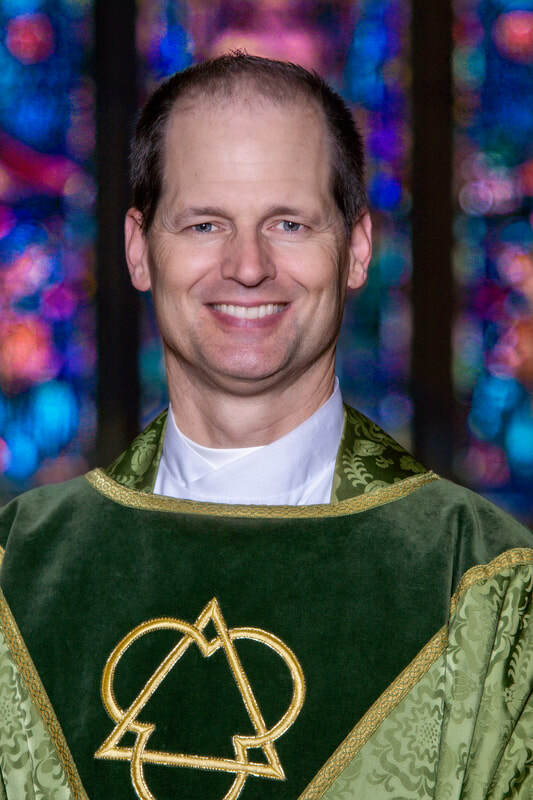 Dr. Edward E. B. Thompson (“Ted”) joined Trinity in September, 2018, as Rector. He grew up near Rockville, Maryland and was a priest in the Diocese of California for over twenty years. 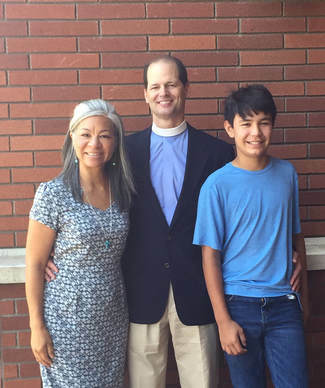 In 2009, with an Episcopal Church Foundation fellowship and the blessing of his bishop, Ted gave up his position as rector of Christ Episcopal Church, in Alameda, California, to pursue advanced studies and training in religion and conflict resolution. He undertook to grow the capacity of The Episcopal Church for the mission of reconciliation, convinced the Episcopal Church had both more to give and learn as a global partner for peace. While completing his Ph.D. in Conflict Analysis and Resolution with a focus on religions and discernment, Ted worked as consultant and short-term staff with congregations on the east and west coasts and for the Diocese of California. On behalf of the Presiding Bishop’s Office of Ecumenical and Inter-Religious Affairs, Ted took part in Hindu-Christian, Buddhist-Christian and Muslim-Christian Dialogues hosted by the National Council of Churches. He and his wife Mary moved from Alameda and have a thirteen-year old boy, William, whose next love after their dog “Bella” is baseball. Associate Rector Joyce Tompkins grew up in northern New Jersey where she spent most of her time in the woods. She received a B.A. in Classics from Cornell and the M.Div. from The General Theological Seminary in New York. She has served parishes in New Jersey, Chicago, Wisconsin and Massachusetts, before coming to Swarthmore in 2001. She earned a D. Min from Hartford Seminary. She has also worked in higher education as a counselor at Marquette University. 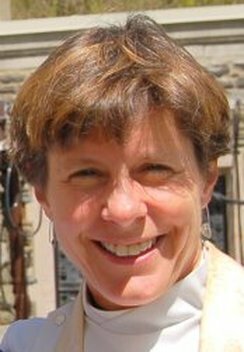 Joyce also now serves as the Protestant Chaplain at Swarthmore College, where she works with students of many faith backgrounds. She is passionate about walking with young people on the spiritual path, and about bringing people of different faiths together to find common ground. In her work at both the College and the parish, she finds ways to include community outreach as a focus of her ministries. When not at the church or on campus, Joyce can often be found in the Crum Woods, where she runs daily with her dog, Buttercup. She enjoys reading and writing poetry and fiction. Joyce is married to Doug, who is also an Episcopal priest. They have three sons and live in Swarthmore with their dog and two cats.